Why did Kishi draw the One Piece symbol in the last page of the last chapter of Naruto? Why did he put a One Piece skull and crossbones (along with the straw hat) on the very last page of the last chapter of Naruto? Seems odd, as the authors differ in both manga (Kishi - Naruto, Oda - One Piece), and I don't understand why. 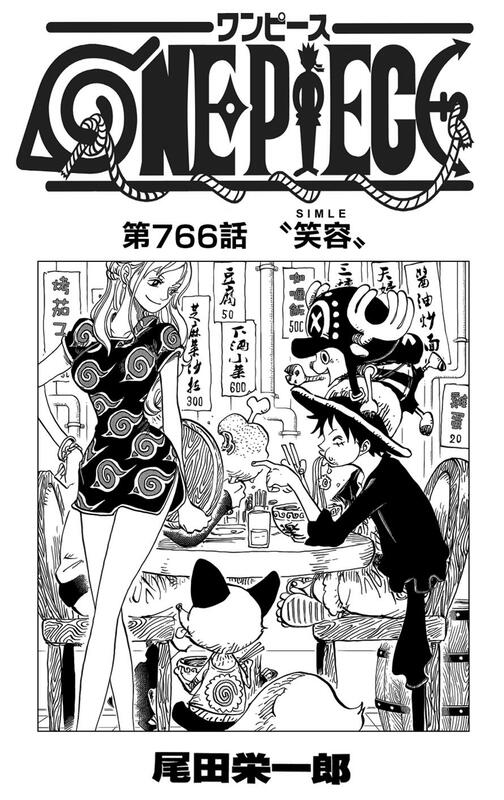 Notice Nami's dress with Konoha's symbol on it, and how there's a fox eating ramen with a whirlpool on its back. It's just a way for them to acknowledge each other's work. Luffy and back with a fox Uzumaki clan symbol eat ramen and Nami wearing an outfit with the symbol of Konoha, covering with a plate at the same Naruto eating next to Luffy. 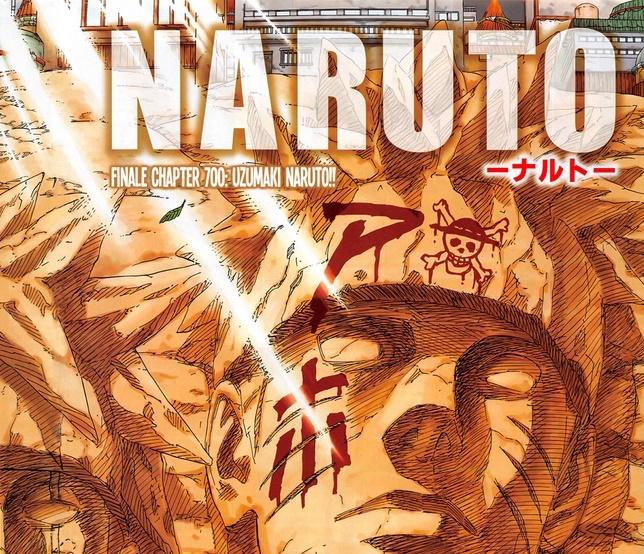 Besides the logo of the series has been changed and the skull that forms the O has been changed by the leaf symbol, the E has a shuriken, and figure that usually is Monkey D. Luffy (star of One Piece) has been replaced by a silhouette of Naruto. And yes, it's just a way for them to acknowledge each other's work. Why didn't Naruto learn the basics of chakra control? Why did Kakashi kill Rin? Does Naruto have the potential to be as powerful as Kaguya Ōtsutsuki? What happened to Naruto's grandparents? Is there a Naruto and One Piece crossover manga?